Dr. Donald H Andersen, MD is a Doctor primarily located in Coatesville, PA, with another office in West Chester, PA. He has 25 years of experience. His specialties include Urology. He speaks English. Dr. Andersen has received 5 awards. The overall average patient rating of Dr. Donald H Andersen is Great. Dr. Donald H Andersen has been rated by 22 patients. From those 22 patients 7 of those left a comment along with their rating. The overall rating for Dr. Donald H Andersen is 4.3 of 5.0 stars. My husband and I were apprehensive about the visit due to the rudeness and lack of professional courtesy in so many dr's offices today. We went to the West Chester office and were pleasantly surprised and relieved. The office people, the attendants were all friendly, respectful, professional and easy to communicate with. Great customer service skills not seen in many offices today. It is at the point where people just walk out due to the lack of common courtesy. It was our first visit with Dr. Anderson. He was professional, easy to communicate with and kind. Very efficient, quick, sharp and intelligent. Would go back. I took my father, who is in his 90's to see the doctor because of referral from his primary care doctor. We were there for 2.15 hours! My father had a cath removed and had a sore in the area. 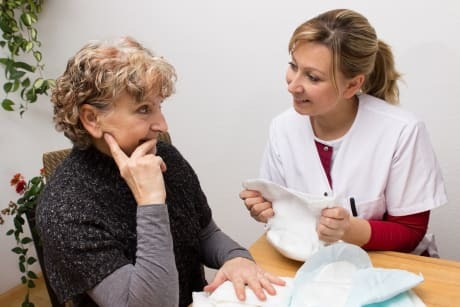 The doctor never prescribed an ointment to clear up the area and instead referred him to another practice. My father left the office very upset. It is hard enough to get him out to appointments. I wanted to speak to the doctor, but was asked to wait in his office...I had to leave after waiting a short while. We were already there long enough. I was very upset with the level of service and treatment of my father and would never refer anyone to this practice. The waiting area is also shabby looking, with a broken window treatment and dingy surroundings. I hope to never come in contact with this office again. A skilled doctor. My Prostate Cancer is well controlled with a 0.0 PSA after seven years- and it was a Gleason 9! 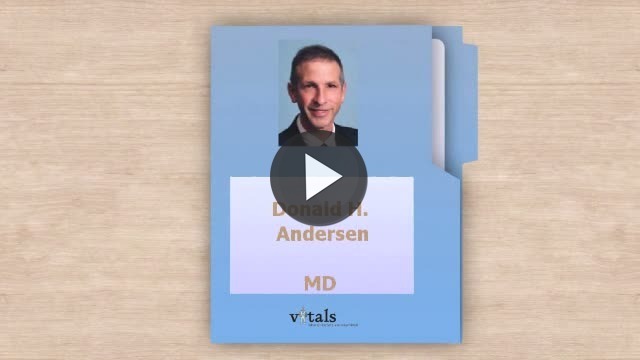 Take a minute to learn about Dr. Donald H Andersen, MD - Urology in Coatesville, PA, in this video.